A referral process in healthcare, a primary care physician creates a referral order in the EMR for a patient to see a specialist or imaging center for a specific medical service. PCPs hold the responsibility for managing and tracking their patient referrals throughout its life cycle. But the PCPs face challenges in managing the referral process. 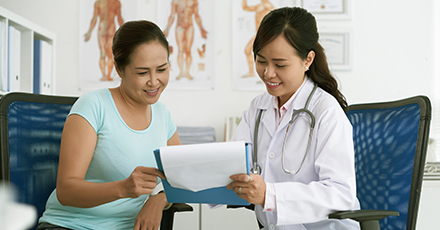 Challenges such as increasing patient referrals, new specialist and imaging centers opening up, manual referral follow-ups, etc prevent PCPs from managing the referral process effectively. This is when a healthcare referral management system comes to play. There are many reasons for why having a referral management software is necessary. Healthcare processes are always criticized for being costly and inefficient. Referral management software is a potential solution to the healthcare problems. In this day and age, healthcare is moving towards improving quality and efficiency, while also decreasing the cost. It’s all about improving the experience for their patients. The entire industry is adapting technology for streamlining administrative operations. In order to reduce referral leakage, increase patient follow-ups and improve the current referral process, a referral management software is needed. Referral leakage is a huge problem hemorrhaging health systems in the country. Missed referrals are the main reasons for millions of lost revenue. After implementing an effective referral management solution, the health system will see an immediate reduction in referral leakage. It will have a positive impact on the health system by making it more efficient and better equipped to serve patients. The immediate effect a health system will recognize is fewer patients leaving the health system thus saving millions in lost revenue. Click here to learn more about how a health system can reduce referral leakage in their network. Operational inefficiency hampers a referral network to a greater extent. Dead time or unnecessarily long lead times are an inconvenience to both patients and providers alike. For eg – PCPs frequently refer patients to specialists without considering the benefit for the specialty. About 65% of referral created by PCPs are unnecessary. These unnecessary visits will lead to long waiting times for those who do need to see a specialist. This will in turn result in poor health outcomes. These problems can be solved by investing in a referral management solution. It will make the process efficient, decrease lead times, shorten patient waiting times and improve patient satisfaction. Increased operational efficiency will lead to shorter patient waiting times and thus more patients being seen. With a referral management system in place, it is easy to track referrals depending on the status. Improved referral tracking leads to increased referral loop closures. Tracking patients’ progress through the care continuum helps to improve utilization for both providers and staff. Referral Management Software will enable health systems to see more patients. PCPs can easily send patients to specialists by searching through directories and evaluating providers based on reviews, quality, and even familiarity. It’s even better when this whole process can be condensed into one application, allowing both doctors and staff alike to access provider directories. Finally, and maybe most importantly, referral management software must save time on administrative processes. This will increase the time for the actual medical visit. Here are some alarming statistics that reiterate the need for a referral management solution, Any health system will have an average referral leakage of 55-65% Approximately 33% of patients do not follow-up with the specialist to whom they are referred 25 to 50% of referring physicians do not know whether their patients see the specialist Over 50% of the current referral process is redundant and repetitive. In order to reduce referral leakage, increase patient follow-ups and improve the current referral process, a referral management software is needed. This entry was posted in blog, Referral Management and tagged hipaa compliance, HIPPA, hospital, hospital revenue, medical referrals, referral, referral management, referrals on February 4, 2019 by Helena Nancy.